I started archery technically when I was 8 years old but was always down at my club The Bowmen of Bruntwood. The reason I started archery was my grandad, he had lost both of his legs and needed a sport to keep him active so he chose archery and ever since then he's taken to it and been my coach from day 1. I am now a part of the TASS (Talented Athlete Scholarship Scheme ) which is run by Sport England. 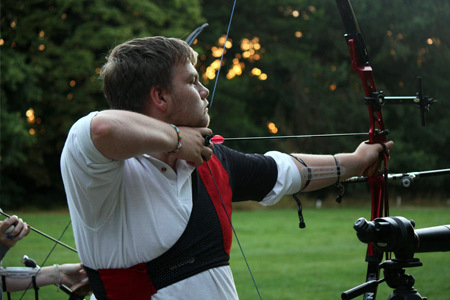 We train and work alongside the best archers in Britain now... And what an experience it is... I can't thank everyone enough for the help they've given me... So now for 2015 is my biggest year yet I am competing in the Archery GB National Series stages 1-4 and many other high ranked shoots. The support everyone at ARTEBO has given me throughout the two years is outstanding and I wouldn't change it for a thing.